Sire: Cutsdean Centurion a British Warmblood with famous dressage and showjumping lines. My new horse as of May 2012. 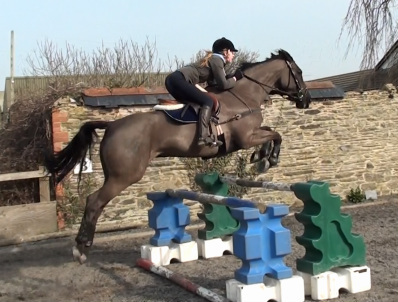 Lexi has proven a clever and talented little horse who loves to jump. I loaned Gran Charisma (Dee) for 5 months from the end of December 2011 until May 2012. In that time she gave me a huge amount of confidence and invaluable experience in the ring. Ruby was a project purchased in 2011 and sold in 2012. When I bought her she was very green, I worked hard on her in the time I had her to bring her on. I had Ted from April 2010 until the end of 2011. 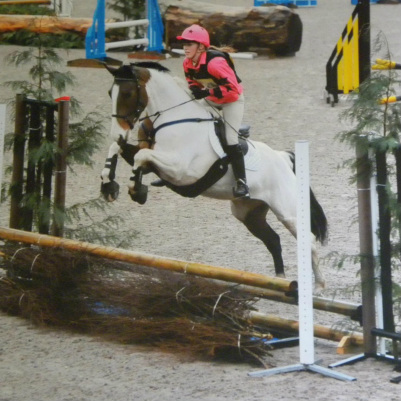 In that time I went from jumping unaffiliated to qualifying for amateur finals and attending the affiliated showjumping shows in Devon, Somerset, Bristol, Cornwall, Wales and surrounding areas. I loaned Rosy in 2009. She gave me more of a taste for competitive showjumping at a higher level. I qualified for North Devon Show on her and got into the final where I was placed 5th. My first competition pony purchased in 2007. This pony never failed to come home without a rosette. He was exceptionally fast and a great jumping pony.